Nothing screams summer like a beach buggy, and Volkswagen have just brightened up a rather cold winter with news that a new Meyers Manx inspired dune buggy will be revealed at the 2019 Geneva Motor Show in March. Though this time it will be lacking that sweet smell of petrol fumes (surely on a par with freshly cut grass as evocative smells go) and the chug of a flat-4 engine… this will be an electric beach buggy concept. The ID Buggy is still pretty much under wraps at the moment, but these tentative shots give us an idea of where VW is going with this. It looks like the ID Buggy will be true to the recognised classic style of a dune buggy with high wheel arches and a sweeping body design with no roof or doors. VW’s head of design Klaus Bischoff describes it as a “modern, non-retro interpretation of a classic”, which might seem strange, as from what we can see so far it certainly hasn’t moved too far from the myriad of variations on a theme dating back to the sixties and seventies – certainly not as much as the reborn Beetle. 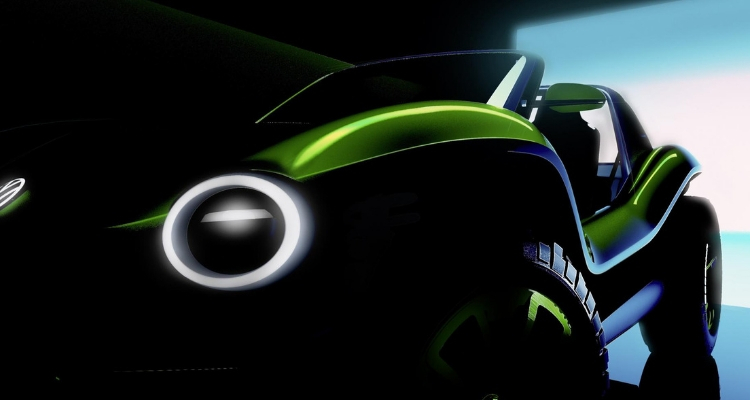 Lighting for the ID Buggy will be taken care of by circular LEDs, while the buggy will be powered along by what is almost certainly to be the same powertrain that will sit inside the ID hatchback which is due to appear either later this year or in 2020. We can’t get too excited yet, as this is still only a concept – though Volkswagen does say that they are entirely open to eventually including an ID Buggy in the ID line-up. As is often the case with concepts, those holding the purse strings at VW will be keenly watching to see how journalists and public alike react to the Geneva reveal. 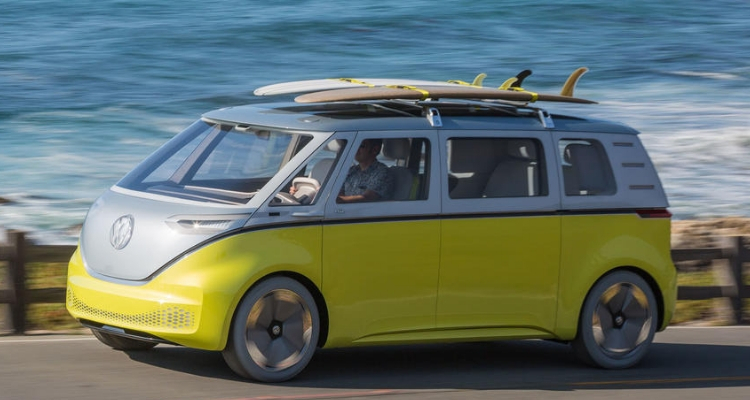 Interestingly, if you dig a little further, it turns out that VW appears to be feeling a bit nostalgic at the moment, for the ID Buggy is part of a triptych of retro-themed vehicles – one we are already familiar with in the ID Buzz Cargo Microbus which was shown in LA last autumn. The Buzz is being considered for sometime around 2021. 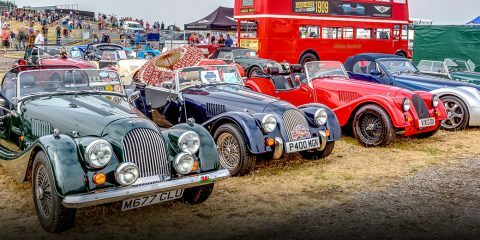 The third vehicle we know even less about than the ID Buggy; it will be 5-door hatchback that will have some connection to the (classic) Beetle. Now that sounds intriguing. 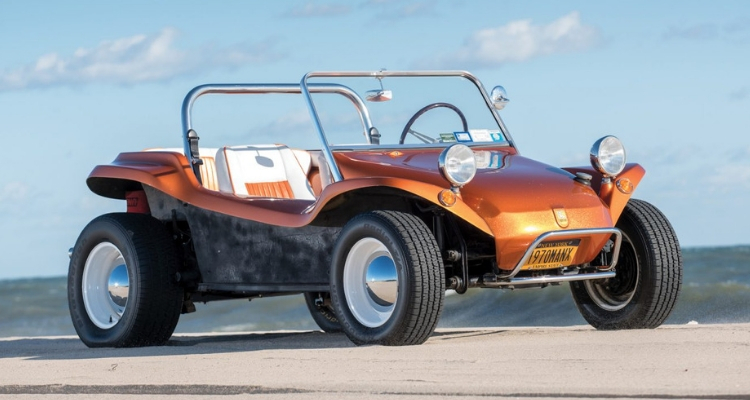 The actual southern California company of Meyers Manx is still around too – and still doing what they do best; producing classic style dune buggy kits and parts. 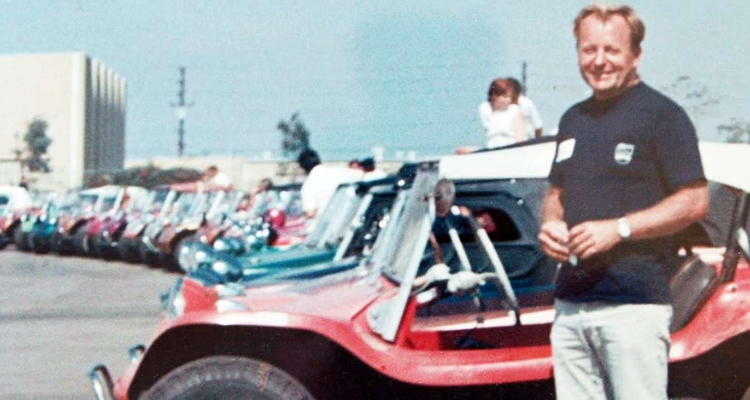 Bruce Meyers produced his first 12 buggies in 1964 using the standard VW Beetle running gear and suspension. But will the ID Buggy make it to full production or just remain a cute concept? Promisingly, with a nod to how the original beach buggy borrowed the chassis of the Beetle, VW say that the MEB platform could be used in the same way, allowing for smaller, more niche production runs alongside the big sellers.